A couple of years ago, I wrote about a company called SVIRAL that appeared to have cracked one of the toughest problems in computing today — that of creating software programs that can effectively use multiple processing cores and threads without requiring programmers to have PhDs in computer science (see Startup Cracks MultiCore, Thread Programming Problem). Of course, persuading anyone to do things differently to the way they currently do them is always a hard sell, which may go some way to explain why SVIRAL has undergone a metamorphosis and reappeared as high-performance computing company CORNAMI. In turn, CORNAMI recently announced that it closed Series B financing in the amount of $3 million led by Impact Venture Capital. The reason CORNAMI is of interest to us here is the ongoing data explosion, which includes messages, photos, videos, log files, sensor data, the IoT… the list goes on. 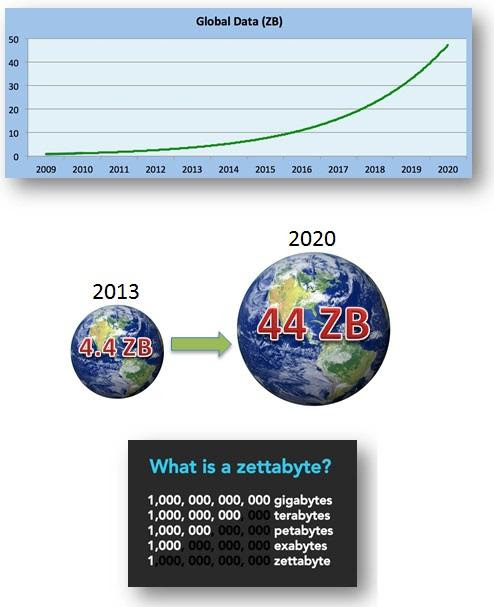 We are now firmly in the era of “Big Data.” It is estimated that 90% of the world’s data was created in the past two years, and 90% of this data is of the unstructured variety, which demands compute-intensive processing and analytics. There is a tremendous need to be able to process this data in real-time, but systems based on current CPU architectures are struggling to meet the demand. The problem is that application performance has not scaled with the deployment of multiple cores due to the overhead associated with managing the parallelism of data between the cores. As a result, processor cores are often idle (“dark”), overloaded, or wasting cycles in the OS, as opposed to performing actual work. Continue reading on EE Times’ sister site, Embedded.com.